N.B. If any dispute/Error/not listed , kindly inform us immediate. Accommodation List will be published under Accommodation Option. NOTICE: Paper presenters should take 3 copies of print copy of his paper and distribute to the Judges at the time of paper presentation, they will write comments on the copy . After completion of presentation author should collect these copies and take home. These comments will help for revising the paper again. Judges will give marks in separate format, Highest of average of these marks will generate Best Paper Award. Dress Code: It is a conference of Professors/Scientists/Engineers and Management Executives. In December 24th and 25th , in Kolkata, it will be Cold Season. So, delegates should wear Complete Suit, Tie /Blazer-Tie/Full Safari/or any Executive Dress (it is optional). We have started to notify paper acceptance notice to the concern authors. We have sent email to the authors of (upto paper ID 55) till 15th Oct. 2015. After receiving the review report we shall send the acceptance notice gradually. If you are receiving the paper acceptance notice or email sent by us properly, kindly send us an acknowledgement that you have received our email. Sometime, emails are stored in spam/other folders which are not opened by users generally. Revised paper/Modified papers should be uploaded in cmt/microsoft site where you have uploaded papers. Registration should be done to our bank account through online/NEFT money transfer, option is there for sending DD. Bank particulars will be published soon in this page. . Soft copy of Registration form should be sent to this email address and a cc copy should be sent to [email protected] also. Registration Fee mentioned is for a delegate/author only. Registration is required for each paper separately. If an author has more than one paper, he has to register each paper separately. Send softcopy of registration form to email of Dr.Moumita Mukherjee . Registration Fee should be submitted as online/NEFT to our Bank Account. (account number /details mentioned below). Registration fee is for a single delegate. Registration Fees will cover : registration kits, working time Lunch/snacks, tiffins/breakfast, participation certificates. Best papers award as 1st and 2nd Prizes will be provided with certificates. After conference, other services as processing papers by Guest Editors, and then forwarding to the journals (as per journals requirements). For Journal Publication, after conference, Guest Editors will communicate to the authors. Publication will be in Proceeding Book having ISBN number with full paper of maximum six pages. Paper should contain title of the paper, author/s name, affiliation of authors(designation, but do not mention student in place of designation), institute/company name, address, email address etc. a. For proceeding book, papers will be reviewed by two reviewers and all accepted and registered papers will be published in Proceeding Book of CCSN2015. b. After conference, according to the feed back given by Judges, paper will be grouped for three journals( Journal of Microsystem Technologies(springer), IJCA and IJCAES). Three Guest editors will give call to authors for submitting revised versions, if guest editor is satisfied then he will allow authors for uploading the paper in selected journals. Then, Papers will go for double blind review process organized by guest editor and journal authorithy. Finally, journals will publish/reject according the feedback of reviewer . Accepting in conference , CCSN2015, does not guarantee for journal publication.You have to follow the guideline and standard of the Journals. Bank Branch Address: Subhadra Market, 1st Floor, Rourkela-769001, Orissa, India. N.B. The organizing committee has all rights to change/edit any options of the conference. 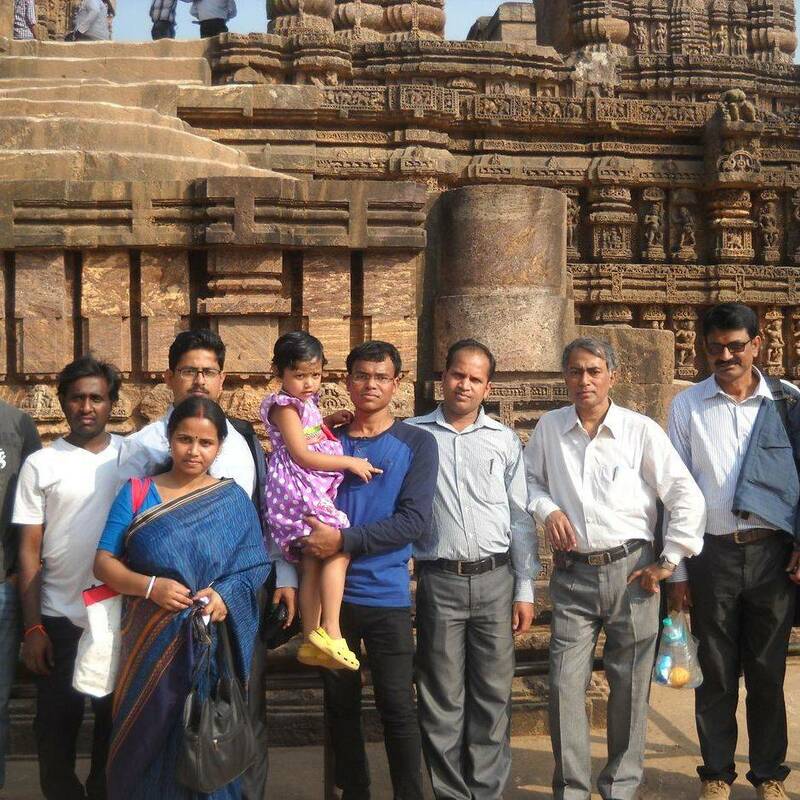 Below: (1) Photo of delegates of CCSN2014 Conference who participated in Tour Program at Konark Temple, Odisha, India.